What is trans-shipping service? 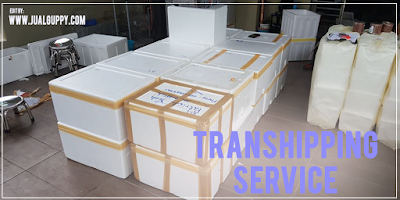 Trans-shipping service or intermediate shipping service is an interstate delivery service that bridges between seller in one country and buyer in other country in physical distribution of ornamental fish. Delivery of ornamental fish between countries demands technical conditions to comply with the regulation of the entry of ornamental fish to and from a country. Such as fish import / export, quarantine, CITES, customs and others. Only certain individuals or entities that have met these requirements can perform this export / import activity. Increasingly widespread and widespread use of the internet for the business of ornamental fishes especially hickey resulting in the growing need for delivery of ornamental fish that cross country borders. Generally the obstacles faced by the sellers, especially the inexperienced and small scale is to ship the fish in small quantities but with low cost, so they can sell the ornamental fish to buyers who are far abroad. For this need arise trans-shipper located in import / export destination countries. The existence of trans-shipper is in the country of origin and destination country of delivery. 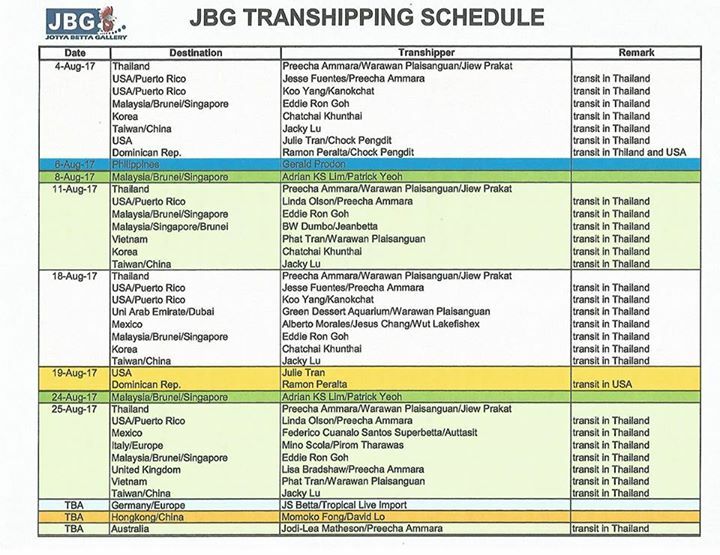 Generally for the above-mentioned activities trans-shipper charge a fairly light. Trans-shipping service fees are generally paid by the buyer, not the seller. Currently there are some transhipers who provide trans-shipping service to ornamental fish entrepreneurs in Indonesia to send / export of ornamental fish that are not included in the list of CITES to overseas buyers. The destination countries that can currently be served are the United States, Europe and Australia. In the near future will be added with Thailand and Singapore.